Advances in technology have enabled other new applications for PET/CT imaging, including quantitative assessment of response to treatment, determining patient prognosis, and predicting treatment outcome in NSCLC.17 In a retrospective study, NSCLC patients treated with nivolumab underwent pre-treatment FDG-PET to assess tumour burden. A significant association was found between tumour burden and overall survival.18 Another study has shown that tumour PD-L1 and PD-1 expression can be quantified non-invasively using PET-CT in patients using 89Zr-nivolumab.19 This has important implications for predicting responses to immune checkpoint inhibitors. In summary, advances in multimodal molecular imaging is enabling us to better stratify patients with lung cancer in clinical trials of new immunotherapeutic agents, facilitate response prediction and help clinicians with treatment decisions for individual patients. 1. Bray F, Ferlay J, Soerjomataram I, et al. Global cancer statistics 2018: GLOBOCAN estimates of incidence and mortality worldwide for 36 cancers in 185 countries. CA Cancer J Clin. 2018;68:394–424. 2. Davidson MR, Gazdar AF, Clarke BE. The pivotal role of pathology in the management of lung cancer. J Thorac Dis. 2013;5 (Suppl 5):S463–78. 3. Bradley S, Abraham S, Grice A, et al. 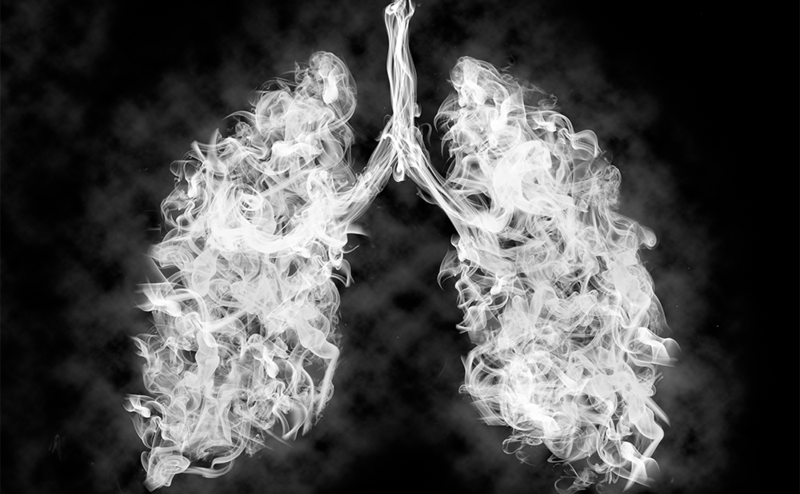 Sensitivity of chest X-ray for lung cancer: systematic review. Br J Gen Pract. 2018;68(Suppl 1):bjgp18X696905. 4. Aberle DR, Adams AM, Berg CD, et al. Reduced lung-cancer mortality with low-dose computed tomographic screening. N Engl J Med. 2011;365:395–409. 5. Jett JR, Limitations of screening for lung cancer with low-dose spiral computed tomography. Clin Cancer Res. 2005;11:4988s–92s. 7. Crandall JP, Tahari AK, Juergens RA, et al. A comparison of FLT to FDG PET/CT in the early assessment of chemotherapy response in stages IB-IIIA resectable NSCLC. EJNMMI Res. 2017;7:8. 8. Piai DB, Quagliatto R Jr, Toro I, et al. 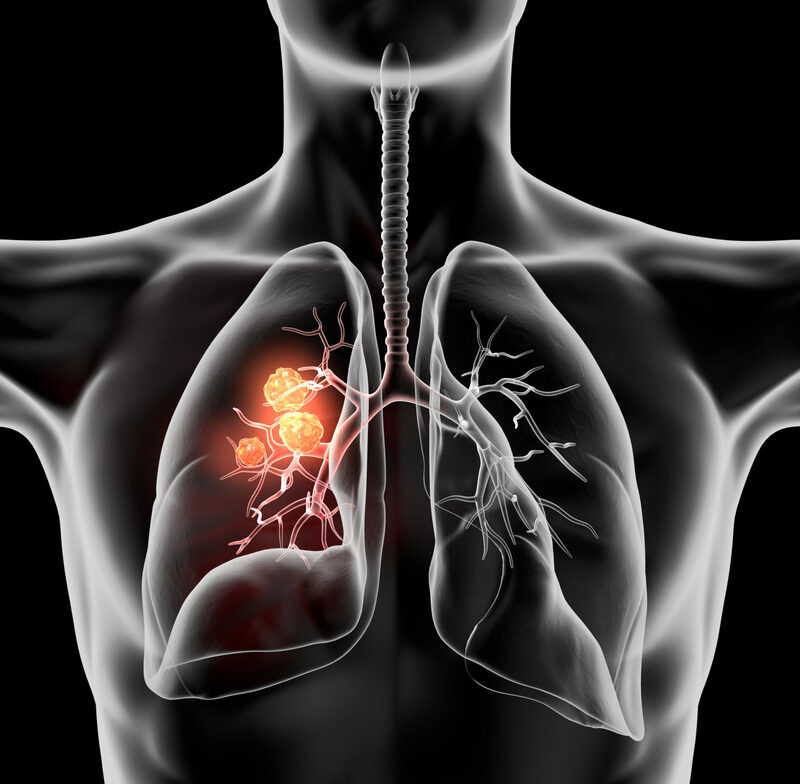 The use of SPECT in preoperative assessment of patients with lung cancer. Eur Respir J. 2004;24:258–62. 9. Dai D, Rollo FD, Bryant J, et al. Noninferiority of (99m)Tc-Ethylenedicysteine-Glucosamine as an Alternative Analogue to (18)F-Fluorodeoxyglucose in the Detection and Staging of Non-Small Cell Lung Cancer. Contrast Media Mol Imaging. 2018;2018:8969714. 10. Moro-Sibilot D, Smit E, de Castro Carpeno J, et al. Non-small cell lung cancer patients with brain metastases treated with first-line platinum-doublet chemotherapy: Analysis from the European FRAME study. Lung Cancer. 2015;90:427–32. 11. Schoenmaekers J, Dingemans AC, Hendriks LEL, Brain imaging in early stage non-small cell lung cancer: still a controversial topic? J Thorac Dis. 2018;10:S2168–s71. 12. Wei W, Ni D, Ehlerding EB, et al. PET Imaging of Receptor Tyrosine Kinases in Cancer, Mol Cancer Ther, 2018;17:1625–36. 13. Han Z, Xiao Y, Wang K, et al. Development of a SPECT Tracer to Image c-Met Expression in a Xenograft Model of Non-Small Cell Lung Cancer. J Nucl Med. 2018;59:1686–91. 14. Cochet A, Isambert N, Foucher P, et al. Phase 0/1 of positron emission tomography (PET) imaging agent [18F]-ODS2004436 as a marker of EGFR mutation in patients with non-small cell lung cancer (NSCLC). J Clin Oncol. 36:15(Suppl):e24184. 15. Li L, Wei Y, Huang Y, et al. To Explore a Representative Hypoxic Parameter to Predict the Treatment Response and Prognosis Obtained by [(18)F]FMISO-PET in Patients with Non-small Cell Lung Cancer. Mol Imaging Biol. 2018;20:1061–7. 16. Vera P, Thureau S, Chaumet-Riffaud P, et al. Phase II Study of a Radiotherapy Total Dose Increase in Hypoxic Lesions Identified by (18)F-Misonidazole PET/CT in Patients with Non-Small Cell Lung Carcinoma (RTEP5 Study). J Nucl Med. 2017;58:1045–53. 17. Konert T, van de Kamer JB, Sonke JJ, et al. The developing role of FDG PET imaging for prognostication and radiotherapy target volume delineation in non-small cell lung cancer. J Thorac Dis. 2018;10:S2508–s21. 18. Ito K, Tang R, Schoder H, et al. Prognostic value of total lesion glycolysis on pretreatment F-18 FDG PET/CT in patients with advanced NSCLC treated with nivolumab. J Nucl Med. 2018;59(Suppl 1):206. 19. Niemeijer AN, Leung D, Huisman MC, et al. Whole body PD-1 and PD-L1 positron emission tomography in patients with non-small-cell lung cancer. Nat Commun. 2018;9:4664. 20. Kolbitsch C, Neji R, Fenchel M, et al. Respiratory-resolved MR-based attenuation correction for motion-compensated cardiac PET-MR. Phys Med Biol. 2018;63:135008.